If the US pulls out of the Iranian nuclear deal, Tehran will likely do the same, increasing the chance of war, said French Ambassador to Israel Hélène Le Gal, speaking to Hebrew media as French President Emmanuel Macron wrapped up his visit to Washington this week. Macron paid a state visit to the US capital, meeting with US President Donald Trump in part to discuss the 2015 Iranian nuclear agreement and plead for a more comprehensive “new agreement” that would address what he and Trump believe to be shortcomings of the existing accord. Trump — a fierce opponent of the agreement signed by Tehran and international powers — must declare by May 12 if he will essentially walk away from the existing deal when the renewal deadline arrives on May 12, or stay in. The other pillars, Le Gal said, include a plan for what happens after 2025 when United Nations sanctions on Iran lift and Security Council Resolution 2231 endorsing the JCPOA expires, requiring a new vote on sanctions; a joint approach on Iran’s contentious ballistic missile program; and reining in Iran’s regional role, particularly in Syria. Trump has branded the Iran deal “insane” and the “worst” in history. He made killing the Iran nuclear accord a campaign pledge during his 2016 presidential run. After his talk on Wednesday with Trump, Macron said the US president may well pull out of the Iran nuclear deal for domestic political reasons. “The rational analysis of all his statements does not make me think that he will do everything to maintain” the agreement signed with Iran to prevent the Islamic republic from acquiring an atomic bomb. The proposal that Macron put forward to his US counterpart involves preserving the existing agreement on the first of “four pillars” of a future deal, as mentioned by Le Gal. In January, Trump kept the deal alive by waiving sanctions against Iran as required by the pact every six months. But he said flatly it would be the last time he did that unless serious changes were made to the accord. He specifically called for three major changes: amending the sunset clauses, banning Iran’s capacity to test ballistic missiles, which are currently in violation of UN resolutions but not the nuclear deal, and granting inspectors greater access to Iran’s military sites. These demands were issued as an ultimatum to Congress and America’s European allies. Trump said that if these alterations were not struck by May 12, the next deadline to waive sanctions, he would walk away from the nuclear deal. With that deadline mere weeks away, Macron has seemingly sought to find a middle ground with Trump. President Donald Trump arrives with German Chancellor Angela Merkel on Friday for a joint news conference in the East Room of the White House. WASHINGTON – President Donald Trump on Friday placed himself at the center of the remarkable summit between the leaders of North and South Korea, taking credit for bold and innovative diplomacy that may open a path to peace where other leaders failed. The dramatic turn of events on the Korean Peninsula was the capstone to a week that crystallized the ways Trump has established his foreign policy approach as one that rests largely on the pride he takes in busting the old conventions of diplomatic negotiations and remaking them in his image. British Prime Minister Theresa May, who had been keeping Trump at arm’s length in recent months, defied the threat of mass protests this week to finally invite him to visit what is often called America’s closest ally. Trump’s foreign policy maneuvers, particularly on North Korea, carry great risks. Pyongyang has proven an unreliable negotiator in the past; a failure of talks now could inflame tensions back to where they were only months ago, when there were concerns that a military confrontation was becoming more likely. If he abandons the Iran deal, Trump will be under pressure to come up with a new approach to keeping Tehran’s nuclear ambitions in check. And while Trump boasts that his tough trade talk is bringing countries to the negotiating table, congressional Republicans are openly fretting that potential trade wars will be disastrous for the economy and their party’s prospects in the midterm elections. Trump has turned the traditional step-by-step process of major international negotiations on its head. He stunned some aides by agreeing on the spot to an offer of direct talks with North Korean leader Kim Jong Un. The meeting casts Trump as the iconoclastic dealmaker in chief – and he appears to relish the image. Trump claims he has forced the issue through his tough stance on North Korea during his first year in office, and vowed that he will be a sharper negotiator than any of his predecessors. Trump also credits the personal bond he forged with Chinese President Xi Jinping for fostering the rapid turnabout with North Korea, China’s Communist ally and economic lifeline. Trump also took credit for helping South Korea open the door for talks, through his support for the Winter Olympics held there in February. With Trump’s blessing, South Korea invited North Korea to send athletes and dignitaries, transforming the games into a spectacle of sports diplomacy after nearly 70 years of conflict and hostility between the two Koreas. Sen. Lindsey Graham, R-S.C., a frequent critic of Trump on foreign policy matters, sounded excited about the reversal on the Korean Peninsula after months of Twitter taunts and name-calling between Trump and Kim. “We’re not there yet, but if this happens, President Trump deserves the Nobel Peace Prize,” Graham said Friday. Merkel’s cordial afternoon visit Friday was brief by comparison with the three days of frills accorded Macron earlier in the week. Merkel was also making a practical argument for exempting Europe from new tariffs on steel and aluminum that would take effect on May 1. Trump’s reasons for the tariffs are, like his views on the Iran deal, rooted in his populist worldview – the “America First” campaign slogan put in action no matter the horrified complaints of allies and some in Trump’s own party. That traditional allies had to come to him, asking for a change of heart on issues where the United States and Europe once walked in step, shows the ways in which Trump has rewritten the rules. Merkel leads Europe’s most populous country, and is the longest-serving leader among the major European powers – a mainstay of the kind of cautious consensus politics Trump instinctively rejects. But more than a year after their awkward first White House meeting, dominated by Trump’s pet peeve about German contributions to NATO that he considers paltry, Merkel seemed to have the hang of navigating policy disagreements with an American leader she must nonetheless court. On Iran, she told reporters that she told Trump that, in her view, the current deal “is anything but perfect,” but she avoided any point-by-point examination of their differences. Trump smiled as she moved to a discussion of NATO that addressed Trump’s complaint that the United States pays too much – in terms that he might have chosen himself. “Germany and Europe have to take their destiny into their own hands, because we can no longer, as we used to during the period of the Cold War, during the years when Germany was divided, rely on America coming and helping us,” Merkel said. “I believe that – you know, when I look at the numbers in Germany – and some other countries, they may not like Donald Trump but you have to understand, that means I’m doing a good job because I’m representing the United States,” he said. Intelligence Minister Israel Katz: “We have the evidence” of Iranian-North Korean missile cooperation. NEW YORK – Friday’s historic pledge by the leaders of the two Koreas to work to denuclearize the Korean peninsula should give US President Donald Trump a stronger hand to renegotiate the treaty curtailing Iran’s nuclear program, Israel’s intelligence minister said. Israel Katz, who runs both the Intelligence and Transportation ministries, spoke in a Reuters interview after North Korea’s Kim Jong Un and South Korean President Moon Jae-in agreed to work for a “complete denuclearization” of the peninsula at a summit meeting in Seoul. The 2015 Iran Nuclear agreement, which Israel’s government vehemently opposed, is in danger of unraveling should US President Donald Trump decide by May 12 to restore US economic sanctions against Iran. Trump has called the accord the worst deal ever negotiated and threatened to reimpose the US penalties unless Britain, France and Germany can fix its “flaws.” The deal lifted economic sanctions on Iran in return for curbing its nuclear program. “He (Trump) will have more power against Iran now and maybe to convince the European Union not to be the weak link in the coalition,” Katz said. “I think it will be very good if the North Koreans will finish and go out of the nuclear business and capabilities. It will also be good to our region, because there is a connection,” he said. “Yes, I think there is cooperation as it belongs to developing the ballistic missiles. And we have the evidence,” he said. “We have a lot of evidence,” Katz added, shrugging his shoulders without elaborating. During his state visit earlier this week with Trump in Washington, French President Emmanuel Macron called for the US not to abandon the deal and said a new package of terms was being prepared with Britain and Germany. German Chancellor Angela Merkel held a one-day working visit with Trump on Friday, where she was careful to praise Trump’s progress on North Korea. “I think that now we have to be very tough with Iran,” said Katz, who wants to succeed Netanyahu as Israel’s next prime minister. While Iran’s nuclear capabilities are curtailed for the time being, Katz reiterated that Israel would remain vigilant in seeking to curb Tehran’s increased activities in Syria. “Iranians don’t have to be in Syria. It is not to say we are going to attack every Iranian soldier in Syria, but bases, military bases, and munitions bases, and sophisticated missiles and other things like that? Yes,” he said. Russia, a key ally of Assad, has said it would provide advanced weapons to Syria. Israel is concerned that might include the S-300 surface-to-air missile system, which military analysts say would improve Russia’s ability to control air space in Syria. “They are talking about to supply advanced missiles, but they didn’t say the words S-300,” Katz said. “Personally, it is hard for me to believe that Putin will give them the S-300,” he said. “Because this is his main card that he is holding now in the discussions with Israel … If he will give them the S-300, about what can he talk about with us afterward? Defense Minister says Israel is not concerned by Russia’s military presence in neighboring Syria. Defense Minister Avigdor Liberman said on Friday that Israel is not concerned by Russia’s military presence in neighboring Syria because Moscow is a “pragmatic actor” with whom deals can be struck. “What is important to understand is that the Russians, they are very pragmatic players,” said Liberman during a discussion on the alliance between Russia, Syria and Iran at the Washington Institute for Near East Policy, as quoted by AFP. 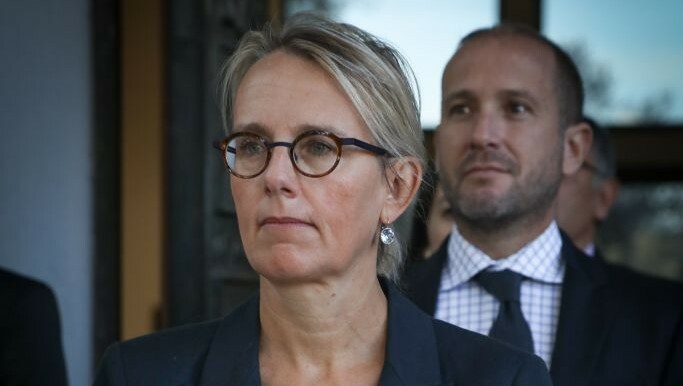 “At the end of the day, they are reasonable guys, it’s possible to close deals with them and we understand what is their interest,” added the Defense Minister. 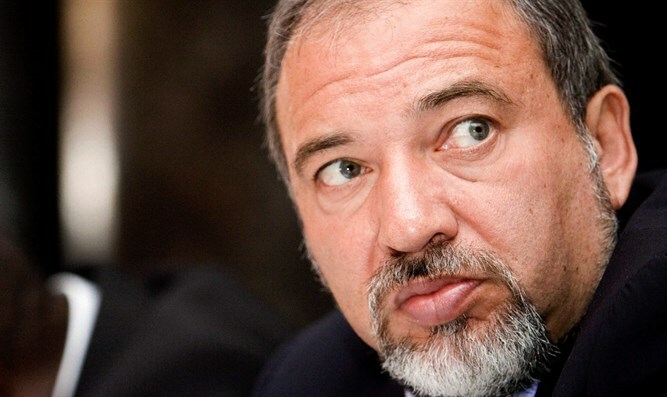 Liberman’s comments came days after Russia’s Defense Ministry said the country plans to deliver new air defense systems to Syria in the near future. No exact date was provided and it was unclear whether the comments referred to the advanced S-300 system which was developed by Russia. Russia and Syria signed a deal in 2010 for the S-300 system but the missiles have not been delivered because of Israeli pressure. The Russians have deployed the S-300 around their own Tartus naval base on Syria’s Mediterranean coast and the more advanced S-400 at their Hmeimim air base in western Syria. Earlier this week, the Israeli Defense Minister said that Israel may strike the Russian-made S-300 anti-aircraft defense systems in Syria if they are used against Israel. His comments followed a report in the Russian newspaper Kommersant which said that Moscow could soon start to deliver S-300 systems to Russia. Even though Israel has insisted it will not get drawn into the Syrian civil war, it has been accused of carrying out dozens of air strikes on regime positions and of having targeted weapons that were coming from Iran and were destined for the Lebanese terrorist organization Hezbollah. On Friday, US President Donald Trump said that he might travel to Jerusalem next month for the American embassy opening. Trump made this remark at a press conference following his meeting with German Chancellor Angela Merkel at the White House. “I may go,” Trump said after a Christian Broadcasting Network reporter asked him who would be in Jerusalem for the ceremony. “Very proud of it.” Trump added that he almost signed the original embassy construction proposal, which stood at $1 billion. However, when he noticed the large figure, he called American envoy to Israel David Friedman, who said that the construction could be done for much less. In January, Trump waived US sanctions against Iran but warned that it was the “last time” he would be doing so if the Iranian nuclear deal’s “terrible flaws” are not fixed. As the May 12 deadline for changes in the deal approaches, America’s European allies who signed the deal with the US are urging Trump to remain in the deal. Earlier this week, Trump met with his French counterpart in Washington. Before their meeting, French President Emmanuel Macron spoke with Fox News about the deal. During the interview, he stressed that there is no “plan B” if the agreement is annulled. “My point is to say don’t leave now the JCPOA as long as you have not a better option for nuclear, and let’s complete it with ballistic missile and regional containment,” he told Fox News Sunday anchor Chris Wallace, referring to the nuclear deal by its official acronym. Palestinian Arab media report four dead in Israeli attack on naval base in Gaza. 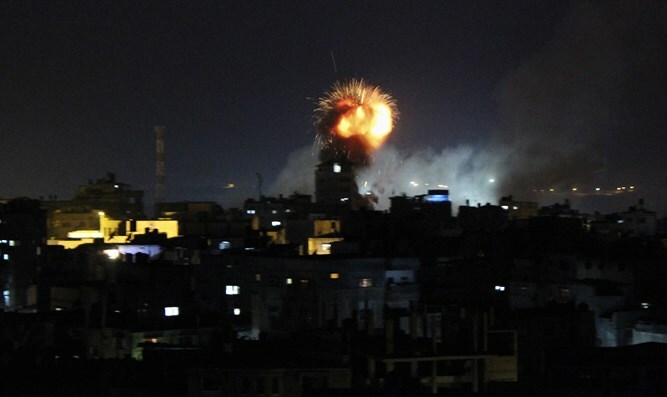 Israel Air Force (IAF) aircraft on Friday night attacked six military targets belonging to the Hamas terror organization’s naval force in Gaza, the IDF Spokesperson’s Unit said. “The IDF views with great severity the ongoing attempt by the Hamas terrorist organization to turn the fence into a space of violence and terrorism under civilian cover, with repeated attempts to damage and destroy the security and defense infrastructures,” the IDF said. “The IDF will not allow cynical use of civilians, including children, women and persons with disabilities, as a cover for ongoing terrorist activity against Israeli citizens and IDF forces, and will continue to respond harshly to any such terrorist attempt. The response to the continuation of such incidents will not be confined to the area of ​​the fence and the Hamas terrorist organization will bear its consequences even deep inside the Gaza Strip,” it warned. “The Hamas terrorist organization is solely responsible for what is happening in the Gaza Strip both above and below the ground,” concluded the statement. Earlier on Friday, the riots in Gaza as part of the so-called “March of the Return” continued. The IDF said hundreds of Palestinian Arab rioters attempted to infiltrate Israel and burn the security fence adjacent to the Karni Crossing in northern Gaza. The rioters approached the security fence, hurled rocks and firebombs, and tried to light the fence on fire. In response, IDF troops operated in accordance with the rules of engagement and thwarted the attempted infiltration.